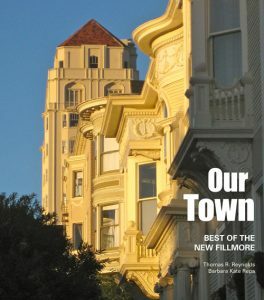 THE NEW FILLMORE reports on the events and people in one of San Francisco’s most vibrant neighborhoods — where the Fillmore meets Pacific Heights and Japantown. 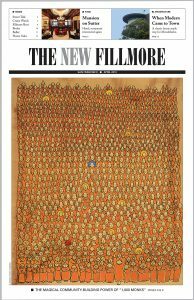 Since 1986, the New Fillmore has been published monthly in newspaper format and delivered to 20,000 homes and businesses on the first weekend of each month. Highlights and updates are posted online. 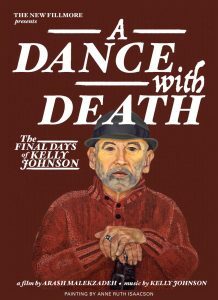 Founding editor and publisher David Ish published Volume 1, Number 1, of the New Fillmore — the premiere issue — in May 1986. The name was a bit of a joke. The Fillmore had forever been reinventing itself, from its roots as a Jewish neighborhood at the turn of the 20th century, then a Japanese neighborhood after the 1906 earthquake, then the Harlem of the West after the war, sporting the New Fillmore Hotel and the New Fillmore Theater. The early 1980s brought another new era as upper Fillmore began to emerge as a bustling shopping and dining district and the surrounding area became an ever more desirable place to live. In the new millennium, as Fillmore Street has been transformed into a coveted location for international fashion and cosmetics brands, many of the one-of-a-kind shops and essential services that made it so attractive have been squeezed out. The street, in some ways, has become a victim of its own success. Yet this neighborhood remains a wonderful place to live, with a rich history, a vibrant economy and many tales to tell. We invite you to ADVERTISE in the New Fillmore. We also accept contributions from readers and sponsors who share our interest in encouraging greater community awareness and engagement. If you wish to SUBSCRIBE by mail to the monthly print edition, please send a check for $30 for a one-year subscription with the mailing address. From our ARCHIVE of past issues, download a PDF of any issue since 2006. At all times, we welcome your ideas and suggestions.